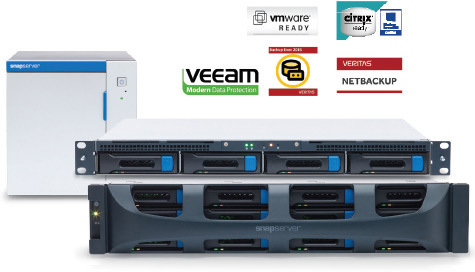 Disaster recovery solution at no additional cost with Snap Encrypted Continuous Replication (Snap ECR). Sync, share and access corporate files from anywhere, on any device with SnapSync. Built with enhanced security, SnapServer systems are extendable to hybrid cloud with SnapCLOUD. Heterogeneous data replication with Snap Enterprise Data Replicator (Snap EDR). Automatic data protection solutions with RDX removable media that meets off-site compliance. Get Data On-the-Go and collaborate securely under centralized IT control.